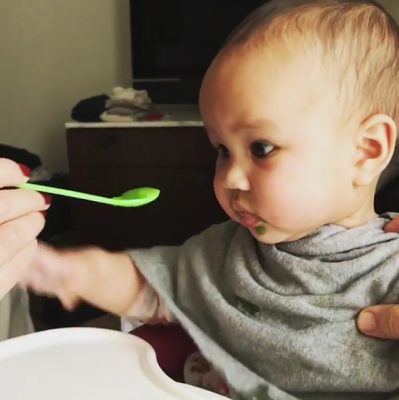 John Legend's wife shared a video of their daughter Luna eating her first solid food. She shared the video and captioned it: "Her first savory bite - green beans. The laugh! Many tears. Oh my lulu". Check out the video after the cut..